During the recent crisis that has engulfed Ryanair, arguably the most damaging and enduring dent to its corporate brand and reputation has been the condemnation of the CEO, Michael O'Leary, by the company's employees. When a business faces widespread criticism from the media or its customers, it’s critical that employees have sufficient loyalty and commitment to the brand to defend its reputation, rather than contribute to its demise by sticking the boot in. It’s a long-held view that one of the many advantages of creating brand advocates – among employees and customers – is that they are usually happy to forgive the company if it makes a mistake. CEOs looking to improve customer satisfaction, loyalty, brand reputation and revenue should look to harness the power of employee advocates; who, according to recent research, are more trusted than the CEO as a source of information about a business. With employee influence at an all-time high, it’s more important than ever that companies invest in strategic internal comms that drives engagement, with a clear focus on motivating and equipping employees to become positive advocates for the business and the brand. The most powerful brands are built from the inside out, where employees are empowered to bring your brand strategy to life to ensure it lands with your customers. For over a decade, mobile operator O2 has enjoyed enviable brand status in the UK and the value it has placed on internal comms and engagement has been a major factor. O2 has long recognised the power of building belief and inspiring advocacy among employees to drive customer satisfaction and loyalty. Understanding that it’s your people who will turn your brand strategy into action, O2’s ‘Fandom’ recognition programme, which recognises and rewards employees for going the extra mile for colleagues and customers, has been driving internal advocacy since the late noughties. Recognising that engaging with staff is such a key lever to customer experience and commercial growth, the building society Nationwide has aligned internal comms to its marketing function. Nationwide has invested heavily in this area, with an emphasis on giving its people a voice. Mr O'Leary, take note. Its ‘Employee Connect’ forum, in which a quarter of staff have volunteered to participate, encourages people to test products and services, take part in pulse surveys and even share their views on the strategic direction of the business. I always encourage clients to commit to measuring regularly the impact of engagement campaigns against their success in growing employee awareness, belief and advocacy. The biggest leap in employee engagement is the step from intellectual understanding to heartfelt belief in the brand and its purpose. If you can capture their hearts as well as their minds, the next step to advocacy is a much smaller one. The best internal comms campaigns combine creative flair, an emotional hook and a laser-like focus on the business objectives; whether that’s driving sales, improving customer service or maintaining trust and commitment during times of change or a major dip in the company’s fortunes. 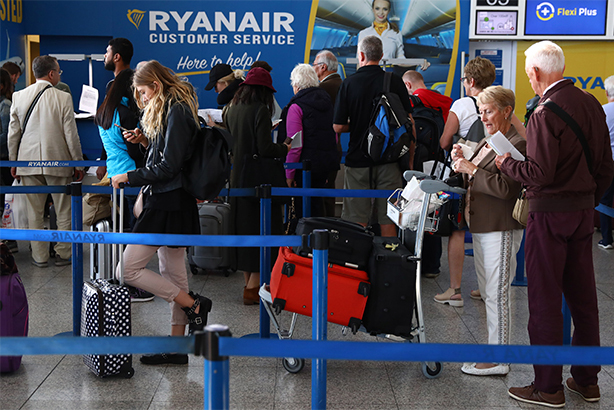 Should a Ryanair-style crisis hit, the upfront investment a business has placed in engagement beforehand will pay back tenfold in terms of discretionary effort, brand reputation and even the bottom line; as employees scramble to act as advocates for the brand’s long-term strengths rather than its short-term weaknesses.